Revenue in the Video Downloads (EST) segment amounts to US$4,105m in 2019. Revenue is expected to show an annual growth rate (CAGR 2019-2023) of 2.6%, resulting in a market volume of US$4,553m by 2023. User penetration is 8.6% in 2019 and is expected to hit 9.1% by 2023. The average revenue per user (ARPU) currently amounts to US$6.48. In global comparison, most revenue is generated in United States (US$1,796m in 2019). Video Downloads, also called Electronic-Sell-Through (EST) or Download-to-own, describe premium digital video content that is purchased in a one-time transaction and is permanently accessible as a digital video file through cloud-based or offline storage. Top vendors of such services are, for example, iTunes, Google Play or Amazon Prime Video. Reading Support Revenue in the Video Downloads (EST) segment amounts to US$4,105m in 2019. Reading Support The Video Downloads (EST) segment is expected to show a revenue growth of 5.4% in 2020. Reading Support In the Video Downloads (EST) segment, the number of users is expected to amount to 692.3m by 2023. 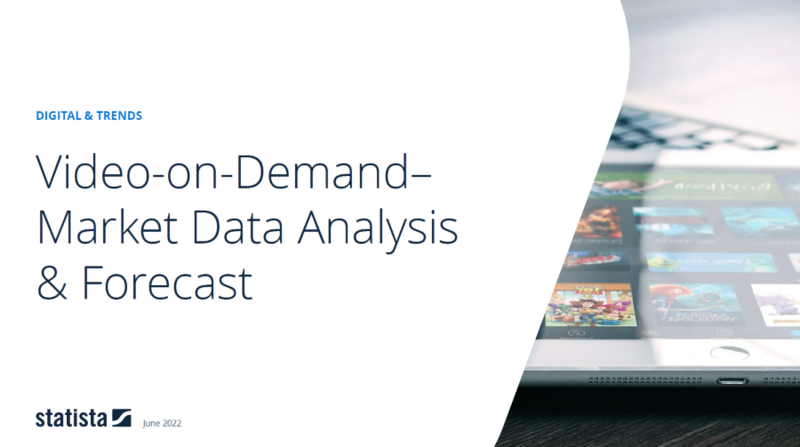 Reading Support User penetration in the Video Downloads (EST) segment is at 8.6% in 2019. Reading Support The average revenue per user (ARPU) in the Video Downloads (EST) segment amounts to US$6.48 in 2019. Reading Support With a market volume of US$1,796m in 2019, most revenue is generated in United States. Reading Support With a rate of 78.1%, the user penetration in the Video Downloads (EST) segment is highest in Azerbaijan. Here you can find more studies and statistics about "Video Downloads (EST)".